My new truck just home from the dealer. 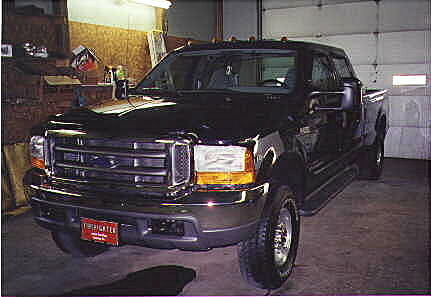 1999 Ford F250 Super Duty XLT, four wheel drive, crew cab, long bed. Heavy duty suspension - levels the truck and lifts it slightly. Doesn't ride as rough as I thought it would. 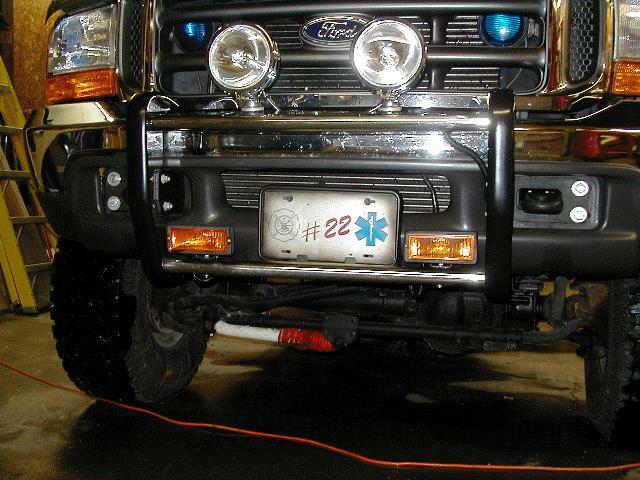 Cheaper than buying an aftermarket leveling kit. If I ordered another V-10 I'd order the snowplow package to get the 6000# 'X' springs. If I got a diesel I'd order the camper package. 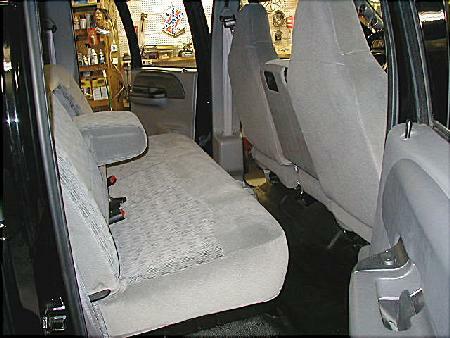 40/20/40 bench seat - I had originally wanted the bucket seats and the center console. Now that I have this seat I like it better...the fold-down arm rest fits me perfectly and is really comfortable. A-pillar guages...oil pressure, transmission temperature, and water temperature. Update 2012: In 2006 I bought a diesel Jeep Liberty so the Superduty was retired to hauling things and pulling a trailer. This past year I removed the lift and replaced it with a leveling kit and 4" rear blocks. I've also been simplifying the truck. The remote starter is gone. I put in a double DIN stereo and sold the old stereo/equalizer/amp/Bass Bazooka. I removed the homemade overhead console and moved the gauges to a 4-gauge pillar pod. The Smittybilt Outland Sport Bar went to Puerto Rico and I installed some factory fog lights. Here's a Ford family photo. My dad's white/tan F-150, my brother's black F-250 diesel (in the back), and my Superduty. My sister is the traitor with the ZR2 Jimmy. 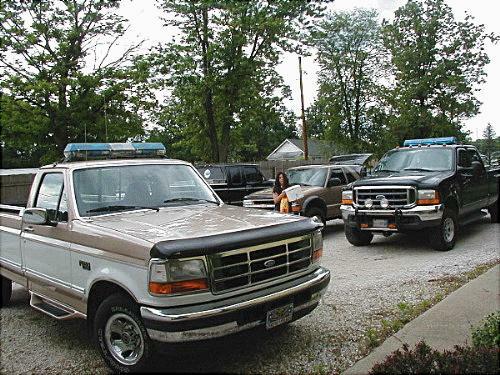 My brother and his wife have four vehicles...all Ford trucks! 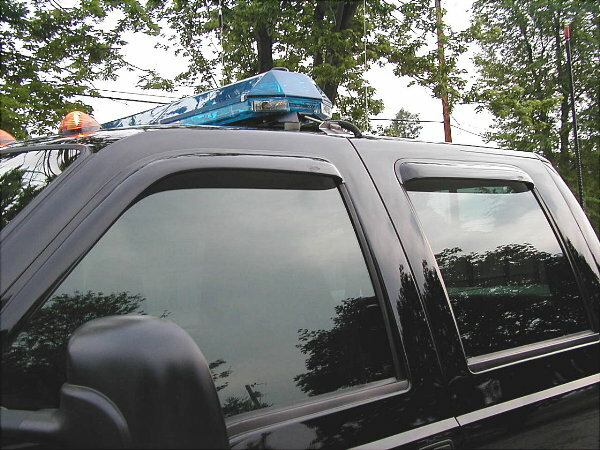 On the front is a Lund Interceptor bug guard and Ventvisors over the side windows. I put on a diamond plate toolbox that mounts on the bedrails. This allows for bed storage under the toolbox. I added a 32-gallon auxiliary gas tank from Aero Tanks that mounts where the spare tire used to be (it now lives under the toolbox in the bed). 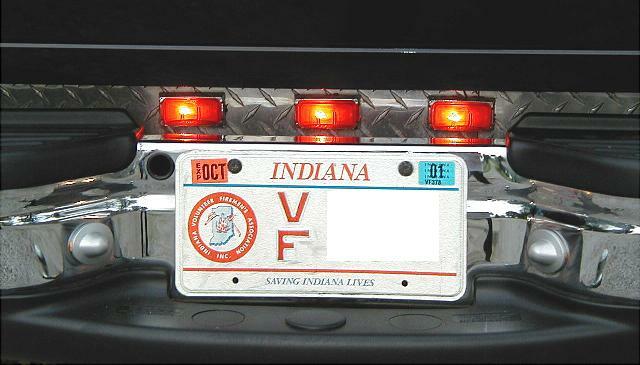 I also added a set of Warn driving lights for backup lights. There's a noticeable gap between the tailgate and the bumper, so cut a diamondplate insert and added some marker light similar to a dually. I added a Superchip to the truck. I immediately noticed the difference. The truck seems like it's ready to run...the way it was before seems lethargic by comparison. It also changed the shifts, too. The shifts points are raised a few hundred rpm, and the shifts are firmer. 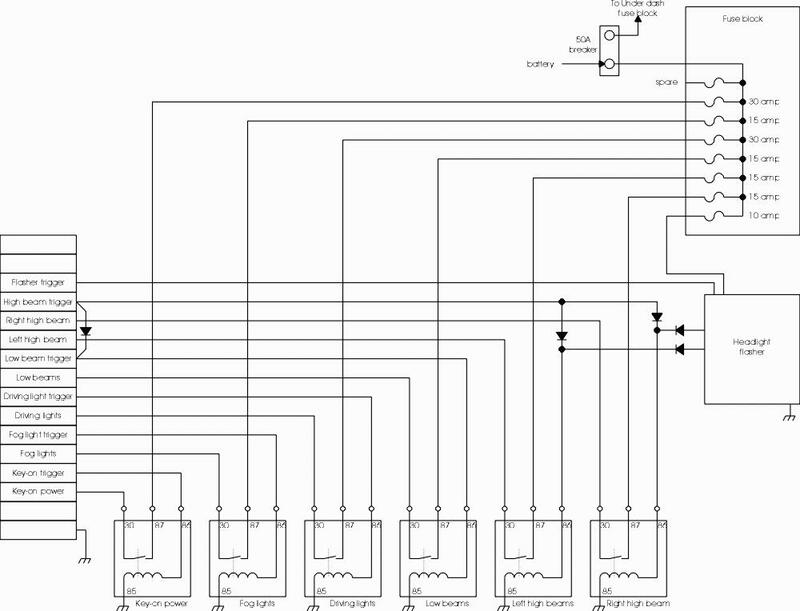 The only compromise with the Superchip is that you need to run 92-93 octane gas to get the full benefit. In May 2000 I added a Gibson catback system (P/N 319652). 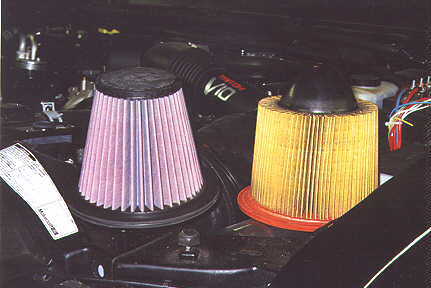 I also modified the airbox and added a K&N replacement air filter (P/N E-0945). The hardest part of putting on the catback exhaust was removing the factory exhaust. The factory pipes have to be cut (torch, hacksaw, etc.) and the factory hanger brackets are a pain to get free from the rubber hangers. The Gibson system fit perfectly, and took less than 30 minutes to install once the factory exhaust was removed. It looks much better on the truck than the factory system. The factory exhaust rubbed my auxilary gas tank, but the Gibson exhaust cleared without a problem. It sounds alot better, too. The combination of Superchip/Gibson/K&N really changes the drivability of the truck, and the parts complement each other. I definitely noticed an improvement with each modification. I use less throttle, the truck doesn't downshift as much, and the truck is more fun to drive. They are all relatively easy mods to make. 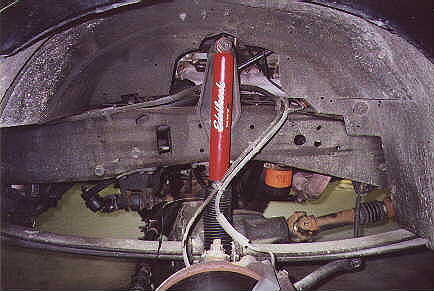 The summer of 2001 saw me add a Poweraid spacer and Borla headers. I expected the truck to have more top end power, but the driveability is even better than I imagined. It feels like I have a 500 cu. in. motor. The transmission shifts perfectly also. I suspect that the Poweraid and Truspeed converter installations helped alot, too. The Poweraid adapter took the mechanical 'slop' out the accelerator and transmission cables. Getting the TruSpeed ratio converter adjusted dead-on took the electrical 'slop' out of the system. When I reconnected the battery after the header installation the computer was able to re-learn new settings based upon more accurate mechanical/electrical inputs and the increased potential of the aftermarket parts I'd added. Most of the additions I've made have been to the interior. The first thing I did was replace the factory stereo system with components from Crutchfield. 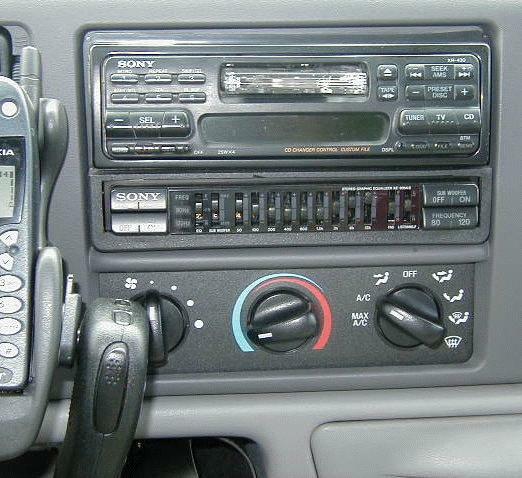 The Sony receiver/cassette player/CD controller and equalizer mounts where the factory radio was. The Crutchfield installation kit fit perfectly. The replacement panel came with a small storage pocket under the radio. I modified the pocket to allow the equalizer to mount under the radio. It fit perfectly, too. 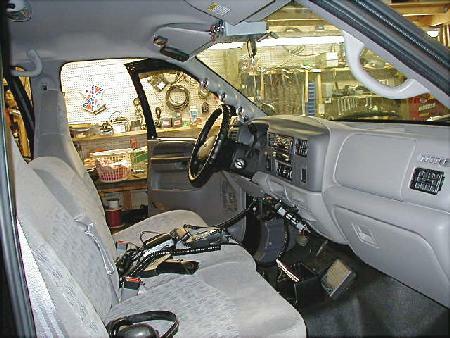 The reciever controls a Sony 10 CD changer mounted behind the back seat. There is a Sherwood 4 X 60 watt amplifier behind the backseat. All the factory speakers were replaced with Pioneer speakers. An amplified bass Bazooka sits behind the back seat where the tire jack used to be. I love it! It has more of everything than my old truck did...power, room, carrying capacity, versatility. 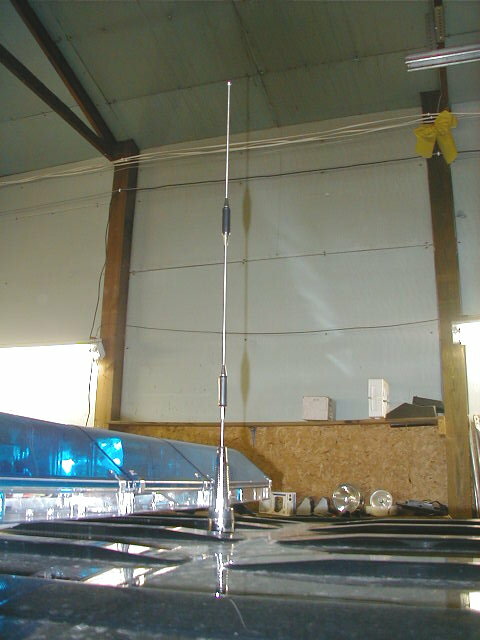 It sits about 6 inches taller than my old truck, which is cool. It doesn't ride as smooth as my old truck, but it's a SuperDuty! As someone who does alot of modifications I am very impressed with how easy this truck is to work on. 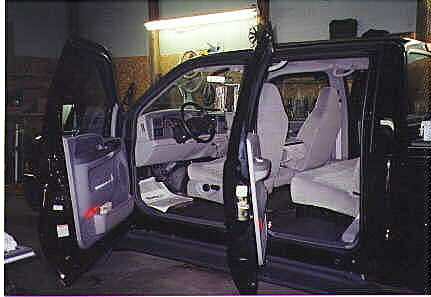 The trim panels come off easily. There's lots of space behind the dash to work in and around. There's lots of knock-out panels for running wires. 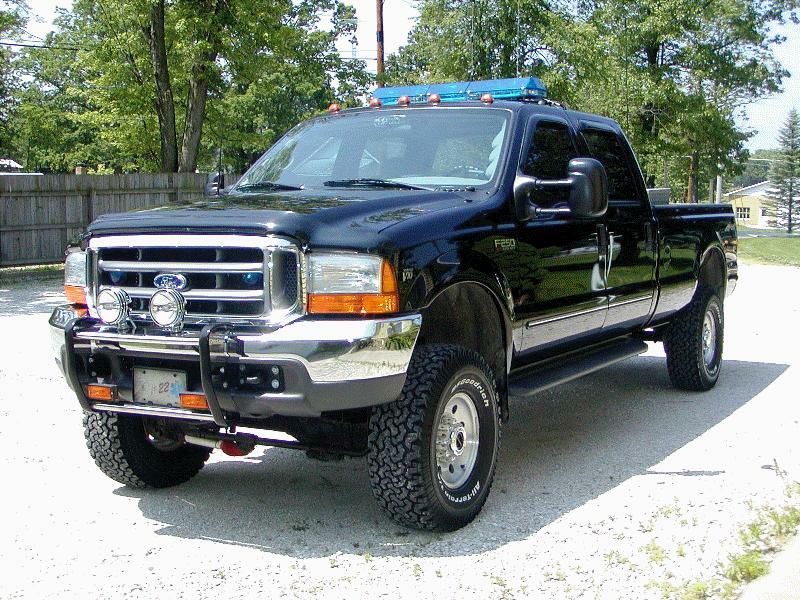 The Powerstroke diesel is a very popular option with SuperDutys. Many people are surprised when they find out I got a V10 instead of a diesel. 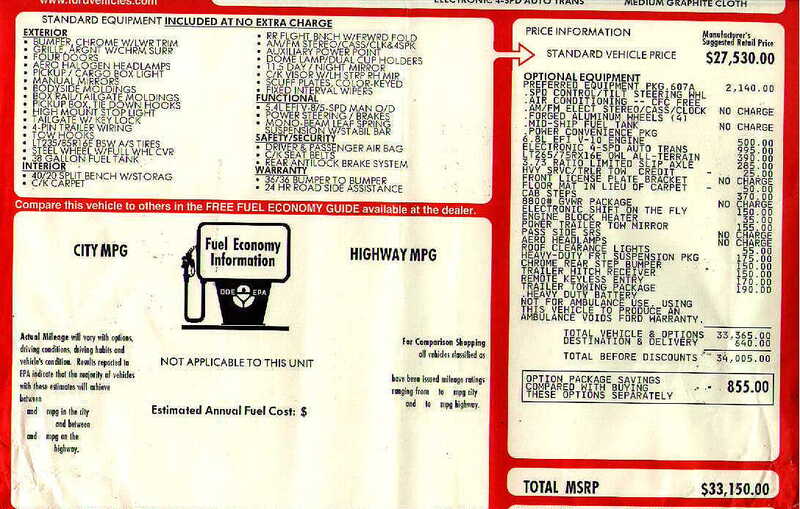 When I first started looking at getting the new truck I asked myself the diesel vs. gas question. Our ambulances at BRMC are diesel, so I have experience with them. They have lots of torque, get very good gas mileage, the diesel engines are very rugged, they sound good (my opinion), and there's no ignition to mess with. On the downside, diesel soot is nasty, routine maintenance is more costly, diesel fuel is harder to find, diesels and drive thru's don't mix, and there are concerns about cold weather. The diesel option is also $4000 more than a V-10. I did alot of internet research, and came up with the following reasoning...if you tow or haul alot, or if you drive ALOT of miles, or if you just want a diesel...then get a diesel. Otherwise the V10 will probably suit you. For me the V-10 fit me better. I like the throttle response of the gas engine. As for mileage, I get 11-12 around town, and 13-14 on the highway. On the other hand, if I had found this truck and it had been a diesel I would have probably bought it anyway and loved it. Before I went truck shopping I made a list of options that I wanted. This truck had every option I wanted except the Offroad package, and that wasn't that big of a deal. A couple options it has that I wasn't planning on getting were the cab steps and the electronic shift transfer case. Now that I have them I'm glad I do. I'd definitely recommend the cab steps...this truck is tall! I have mixed emotions about the towing mirrors. They work great, but they stick out so far that I'm afraid I'm gonna hit something with them. The newer trucks have adjustable towing mirrors. This would be the way to go. The Excursions even have heated towing mirrors...that would be the berries! My old truck was an extended cab, and I always told myself my next truck would have four doors. I was very disappointed to see that the new GMC extended cab still only had 3 doors, and the third door was on the wrong side of the truck (for me). To get a crew cab meant I would have to get a K3500 with the old body style. Nope! Point to Ford. Shannon, one of my fellow firefighters, said that if the new GMCs didn't have the '4WD' decal you couldn't tell them from the 2WDs. I have to agree. They don't have much of a 4WD stance. I'm not too excited about the looks of the new style GMCs, either. The Ford SuperDutys look like a truck...tall, lean, and mean. Point to Ford. The truck I got cost me slightly over $30K. A light-duty K2500 with the wimpy 3 doors was in the mid-28's, even with the GM discount. Point to Ford. After having the truck for almost 3 years I love it. However, the are some things that Ford has done that are worth complaining about. These are mostly silly cost cutting things that have taken some of the 'super' out of Superduty. 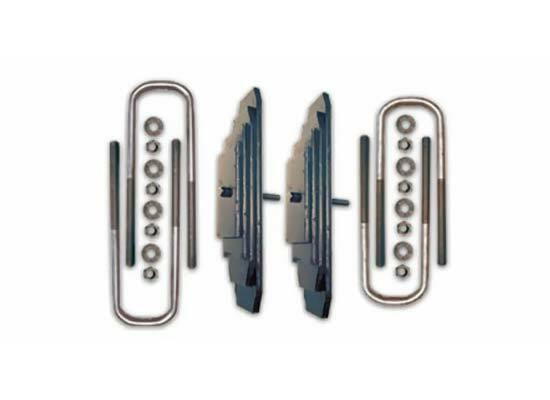 - Nongreasable or replaceable wheel bearings. The truck uses a sealed unit bearing assembly which can't be maintained and costs $300-350 to replace. - Worthless limited slip units. They need to buy their limited slips from GM or Dodge. I had to put synthetic gear lube in mine just so it would work part of the time. 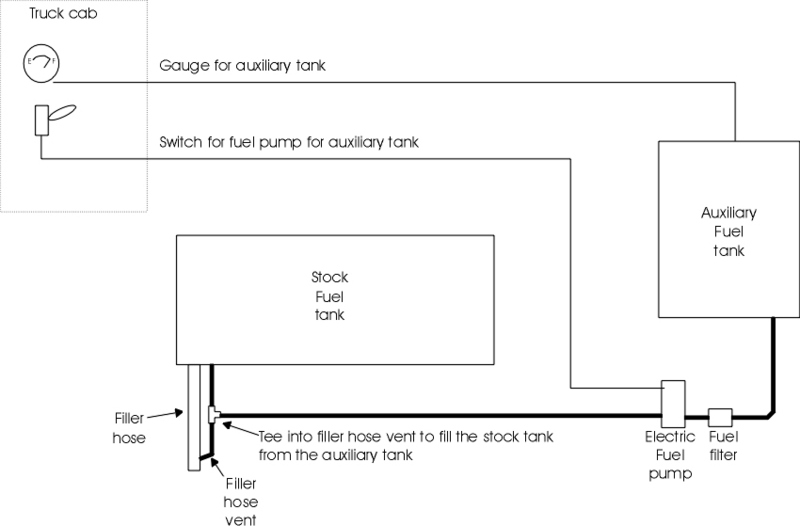 - Redesigned a perfectly good fuel delivery system on the diesels. The new deadhead design causes some diesels to get poor mileage and performance. Follow the truck links below or click here to go back to my homepage. Truck magazine - Truck Trend Magazine Online, the Web's Truck and Sport/Utility Authority, offering road tests, features, technical articles, buyer's guide, and travel articles. Car magazine - The official Automobile Magazine Website features news, road tests, a complete car buying and leasing guide, live auto show coverage, and much more.